Motorcyclists traveling the open road often have little protection beyond a helmet. Any mechanical errors or negligent actions can result in catastrophic accidents. The injuries from these accidents can be debilitating or even fatal. Broken bones, head injuries and severe burns are all common injuries resulting from motorcycle crashes. If you or your family member was injured in a motorcycle accident, the knowledgeable North Dakota motorcycle injury attorneys of Larson Law Firm P.C. provide you with legal guidance you can trust. Our law firm has handled complicated motorcycle accident claims since 1979. These decades of experience have provided us with the skills and tenacity necessary to obtain a maximum recovery while holding at-fault parties accountable. Our highly capable North Dakota motorcycle accident lawyers prepare every claim as if it will ultimately go to trial. We bring in industry experts and accident scene re-constructionists to help us prove fault by another driver, a manufacturer or even the state, before a jury. We understand that for some clients, a high settlement amount is preferable, but we ensure that if the settlement offer is too low, we will be ready for trial. We also consult with vocational experts to understand how your injuries could potentially affect your ability to work. We incorporate as many details as possible to help you obtain a maximum recovery for your medical bills, lost wages and rehabilitative needs, as well as any costs associated with your life care plan. 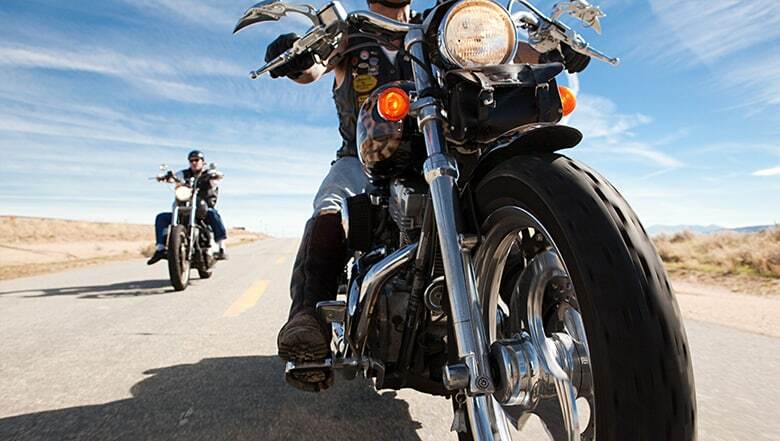 Our North Dakota motorcycle accident lawyers understand the insurance industry. 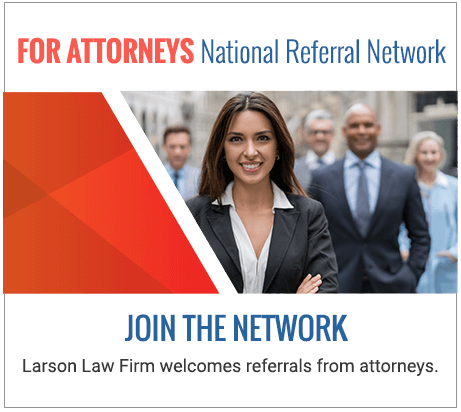 Attorney Mark Larson is a civil trial specialist certified by the National Board of Trial Advocacy with more than 30 years of experience in personal injury. The credibility we have gained over the years, in addition to our reputation for honest representation, helps us effectively negotiate for a maximum recovery. If you have been involved in a motorcycle accident in North Dakota, our experienced attorneys are prepared to help you in every way we can. Trust us to use our litigation skills to fight for your right to just compensation. If you or your loved one injured in a motorcycle accident, contact Larson Law Firm P.C. by filling out our contact form or call us at 701-484-HURT to schedule a free initial consultation. From our office in Minot, we represent clients throughout Ward, Williams, McKenzie, Pierce and Mountrail Counties. Call us today to learn more about how we can help you and your family after a devastating motorcycle accident.